Calling smart watches the most important new product in consumer electronics since the Apple iPad brought us the tablet, research firm Canalys says it expects shipments of more than 5 million smartwatches in 2014. Led by Sony and Motorola, only 330,000 smartwatches shipped in 2012. Thanks to new watches like the Pebble smartwatch, 500,000 units are forecast to be shipped this year. The ten fold surge in shipments to 5 million next year will happen as Apple, Samsung, Microsoft, and Google enter the market, according to Canalys. Recently, we passed along word that Apple is having problems getting its iWatch past a certain design issue that its current team can't seem to get past. As a result, Apple has been aggressively hiring talent in an effort to get the watch to market as soon as possible. But any delays, especially on the part of Apple, could jeopardize Canalys' prediction. The recent news about Apple's hiring plans suggests that we might not see the iWatch unitl late next year. Also jeopardizing the prediction is the research firm's own definition of a smartphone. "Canalys defines smart watches as smart wearable bands. Smart wearable bands are multi-purpose devices that can run third-party computing applications and are designed to be worn on the body, and not carried." Canalys analyst James Wong says, "Creating a competent developer platform specifically for the form factor will be an enormous challenge. Google and Microsoft must execute more successfully than they have done with their tablet platforms and will have to adapt their business models appropriately." I really don't see the need for these type of watches... I use a regular watch and i am very happy with it. Until they start using the flexible sceens I don't see this catching on at all and even when they do its a niche market. I see no benefit of having a smartwatch and a smartphone if the phone does everything the watch does. Biggest hurdle is battery life, not much good if you have to charge it every other day, or more. I only see these things taking off when: Battery life/technology is at least 3x better than it is now. You cannot run a smart phone like device on one of those CR watch batteries, and those aren't rechargable. Holigram technology is out and about. Having a screen pop up from your watch and a virtual keyboard sounds awesome. 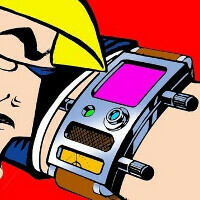 Poking at a watch device with your finger? Laughable. I admit, the pebble sounds cool, but it's very limited and uses a e-reader screen to conserve battery life, and it only lasts 25-30 hours per charge. That's incredibly small considering most standard watches, even the fancy ones with heartrate monitors and whatnot last for months.